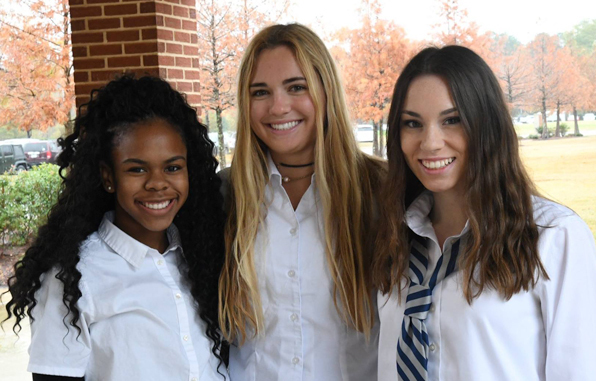 Elizabeth Scott (senior), Allie Perkins (junior), and Kaylan Sanders (sophomore) were selected to participate in the highly notable Perry Initiative all-day event November 5. This competitive program selects only certain applicants around the country to participate in an educational event during which female students learn hands-on about the fields of orthopedic surgery and engineering. The Perry Initiative’s mission through these events is to inspire girls to explore the fields of orthopedics and engineering as the number of females in these fields has dwindled. The event took place on November 5 in 30 cities around the country; the JA students attended the event at UMMC.